The Atlanta BeltLine is a transportation program that encompasses transit, trails, and connectivity. As part of this program, there is a 50-mile Atlanta Streetcar system that eventually will run through and around the city, including the 22-mile Atlanta BeltLine corridor. Phase I was completed in December 2014. 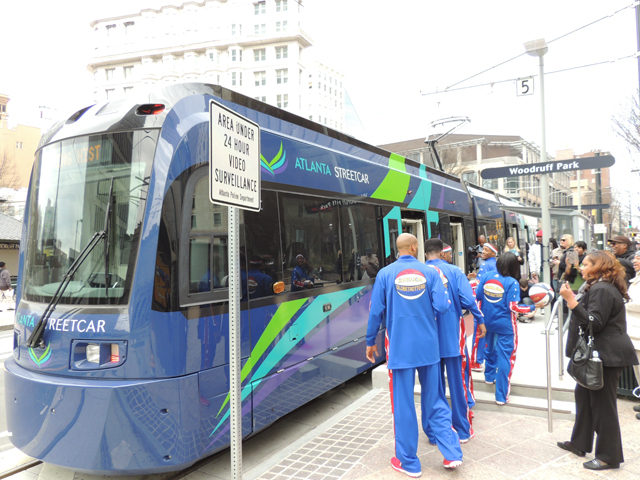 The project was implemented through a public-private partnership between the City of Atlanta, Atlanta Downtown Improvement District, and MARTA. Eventually, this system will seamlessly connect to the downtown and crosstown lines and MARTA stations across the city. Currently, Phase I stretches between Centennial Olympic Park and the Martin Luther King, Jr. Historical Site in downtown Atlanta. Russell provided program controls, including scheduling and environmental analysis for multiple projects. The streetcar system runs on track embedded in the street and is powered by overhead catenary system for power supply. Each stop on the streetcar line is 14 in. above the roadway and complies with Americans with Disabilities Act (ADA) accessibility design standards. All stops feature basic amenities such as shade, bench, fare collector equipment, lighting, and signage. The vehicle maintenance facility (VMF) for the streetcar line is built below the Interstate 75/85 “Downtown Connector” between Edgewood and Auburn Avenues.